We hold regular Coffee Mornings, on Saturdays at all three of our houses. These fund raising mornings are an ideal time to visit your loved one in a warm and welcoming atmosphere and a chance to meet their friends. These mornings also provide a great opportunity for any prospective residents or their families to take a look around our beautiful houses. 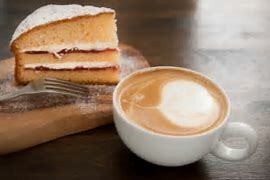 Each Coffee morning has tea, coffee and an abundance of home made cakes to choose from plus a raffle. All Coffee Mornings start at 10.30am.